Those born under the Zodiac sign of the Horse Aquarius are outgoing, energetic, smart, and unique. That’s the good news. The bad news is that they can also be self-centered, attention-starved, restless, and excessively eccentric. Overall, Horse Aquarius are kind of giving by nature and have the capacity to venture far beyond their peers to reach places that others would find impossible. 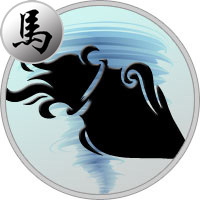 This is the greatest strength of the Horse Aquarius. Their adventurous nature refuses to see limitations. They are always moving toward the next great idea and they almost always take the road less traveled to get there. Their seemingly endless energy can be infectious, and when they take on a challenge, they are as passionate as ever... for a while. While they truly care about the challenges they take up (and they do so often), Horse Aquarius is quick to give up on something if they don’t see the end result fast enough for their liking. That’s not to say that they don’t care, they just lose focus on one project and would prefer to spend their exceptional capabilities on something else for the moment. Horse Aquarius is simply different from the rest, but they have good intentions. At best they use their energy to change the world. At worst, they become self-obsessed and spin their wheels in all the wrong directions. They never lack ideas, and are always on the move. If the Horse Aquarius can get focused on a single destination, there is practically nothing that can stop them from getting there. What characterizes you most is your chivalrous mind. Animated with generous ideas, you behave as a genuine humanitarian and idealist. Enthusiastic, you believe in progress, in the future, in the disappearance of frontiers, in universal brotherhood. Some people would take you for a naive or utopian type, but they should recognize your good heart. You willingly bring help to the weak, the oppressed, the underprivileged, the widow and the orphan. You like to express your ideas although, quite often, you’ve the impression of preaching in the desert. Your warm comportment attracts all sympathies to you. One finds you very charming though somewhat disconcerting. Friendships, fortuitous encounters, and happy hazards play a great role in your destiny. You’ve an intense interest in the world, ideas, human sciences, all means of communication, and it’s in these domains that you can achieve very beautiful successes. But it will always be difficult for you to comply with a rigid discipline or routine. You’ll be at the best of your capacities only by moving or traveling. You can become head of a social or spiritual movement. In love, you tend to live intense passions all the while proving to be disconcerting and impossible to be grasped. In order to be happy, you must enter a union based as much on friendship as on love.